Well, today is an exciting day!!! As of this morning, Happy Quilting has over 3,000 followers on Bloglovin!!! Yippee Skippee!! 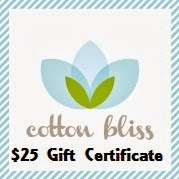 So, I think news like that calls for a little celebration and my good friend Stefanie at Cotton Bliss is helping me celebrate with a $25.00 Gift Certificate Giveaway for all of you!! Cotton Bliss is celebrating the coming New Year with a Huge sale!! There is fabric, thread, notions, and patterns all at phenomenal sale prices!!! The sale is going on through January 6th!! So here is how it is going to work. Good Luck to everyone and Happy Quilting!!! Congrats! OK I'll go first! I would use it towards the Wishes FQB! I have two little grandsons and would love to make them something out of the Road 15 Layer Cake. I think I would choose the Road 15 layer cake, too. The Scrumptious yardage is gorgeous, too, though! Hard choices! Without doubt I would choose the SO HAPPY TOGETHER FAT QUARTER BUNDLE - beautiful! Little Black Dress 2 by Moda would be a great addition to the Little Black Dress quilt I have started. As a beginning quilter, I'd be thrilled to pieces with ANYthing from the site! Thanks so much! Some sweetwater or some Aurifil!! I would choose a jelly roll, I'm wondering whether From Outside will be a good choice. Congratulations! I like scrumptious and pot luck! Scrumptious because it's just so....well, scrumptious! Road 15 layer cake and the 'Cartwheels' pattern! I would love to have the Road 15 jelly roll. I would buy Wishes layer cake or jelly roll! thanks for the chance to win. I'd have to buy some Aurifil thread in ivory...never have enough of that stuff! Thanks. I would get an Aurifil cone of white! I would buy some yardage of SCRUMPTIOUS - SUMMER - AQUA. This would be the perfect fabric to pull together my aqua prints and my red prints into one quilt. I love the SO HAPPY TOGETHER FAT QUARTER BUNDLE. So pretty. I would love to have the Wishes Jelly Roll. Thanks for the opportunity to win! Would love a piecemakers jelly roll. The Aurfil thread is at a great price, I like the Simplify mini spool collection. Congrats on 3000 followers. I've been waiting for some of those new fabric lines like April Showers and Color Me Happy. I'd also love some Aurifil thread! Love the Scrumptious! Congrats on the 3000 followers! Tough one but I think Bella Solids in white in any shape of pre-cut would be brilliant plus some Aurifl 40 weight (my favourite)! I had no idea Aurifil did such large spools! You know, the jelly rolls are just over 25$ and I bet I would like one of those. I really need to stock up on some aurifill thread. It's the only kind I use. Thanks for a chance to win this wonderful drawing. Congrats on 3,000 followers!! I love the Sunnyside and Mirabelle FE Bundles!! Thanks for the chance to win!! I'd stock up on the Aurifil thread! I think I'd stock up on some thread :) Congratulations on your milestone, and thank you for the giveaway. THREAD--love Aurifil---it is the BEST! With a gift certificate in hand, and feeling very happy, I would love to own a piece a Piecemakers! I'd get a few of the Mirabelle charm packs. What a great price. Thanks for the chance to win. I'd go for some of that fun aurifil cone thread!!! Congratulations on a great milestone. I would buy some Scrumptious, I have a charm pack and I just love the colors so I need some yardage. Congrats on the followers, thanks for the giveaway. I would pick the Sunnyside Layer Cake! Thanks for the chance! I would stock up on thread or get a moda solid jelly roll. I need some thread. As boring as that sounds, a nice big spool of white Aurafil cotton thread would fit the bill nicely about now to start the new year. Thanks for the giveaway. I love the variegated gold Aurifil thread + the honeysweet and simply style charm packs. I could use some Aurifil thread. Wishes layer cake and thread! I'd love to have the big Aurifil 50wt Cotton Thread Cone - Eggshell. It would be like a dream come true! Thanks for the chance to win. I like the Road 15 fabric! thanks for the give away! Those scrumptious bias stripe prints would be great binding fabrics -- I think I'd have to stock up on a few colors! I would love an In From The Cold jelly roll! Thanks for the chance to win! Congratulations on getting 3000 followers!! NICE!! I would probably buy several spools of Aurifil thread. I LOVE that thread!!! Front Porch Charm Pack and Braided Irish Chain PDF Pattern catch my eye. I'd probably get some Bella Snow or something. Is that totally boring? I need more background fabric on hand for those spur of the moment projects. I would love to have a Wishes layer cake and a charm pack of Storybook from Kate & Birdie. Thanks for the chance to win! I'd love some Grant Park fabric or bundle. I love M&S fabric. You know I'd love to pick fabric. But honestly, I've never sewn with Aurifil. With all the raves about it, I'd love to use the certificate to buy a large spool or two and give it a try! Aurifil, scrumptious and some solids. I really love aurifil thread and the in from the cold fabric. Happy New Year. Me ha gustado Piecemakers Layer Cake y los hilos Aurifil, soy amante de las bobinas de hilo. ¡Feliz 2014! y gracias por la oportunidad de empezar el año con un regalo. I like the Grant Park layer cake-- so cute. I'D SELECT THE GRANT PARK LAYER CAKE+SOME SOLIDS TOO! Hooray and congratulations! Oh, probably some more Aurifil thread. I can't help myself! I would just love some new fabric to start off the new year and some beautiful thread to match of course! Story book and definitely thread! Thanks for the giveaway gals!! I would love some Scrumptious yardage!! Congratulations! I would probably stock up on aurofil thread. Wow! Congrtulations. I would love a couple Scrumptous Charm packs with Aurifil to sew it up. I'd love to get cones of Aurifil thread!! Congratulations! I am needing a couple of quilt backs so buying some yardage on sale is on my list! I would pick up a couple of the patterns that I have been eyeing all year long - a great time to do so at a sale price - then I would have to add some thread to that order - fabric I am swimming in. I would get an aurifil cone! I would probably grab some Sunnyside or Polka Dots. I'd scoop up some of those patterns on sale. Great fun! I would probably choose a Sunnyside or Scrumptious layer cake....I love both of these lines. Thanks for the chance to win and congratulations on your large following!!! I would put it toward the Road 15 jelly roll, I really like that a quilt out of that fabric. I would buy some Aurifil cotton. I have yet to sew with it and that is on my quilting wish list. I would uae it to stock up on Aurifil! Love that thread. I would pick one of the Aurifil thread sets! Happy New Year! I would love some of those scrumptious bias stripes. I would get a layer cake, probably the Road 15 one. Tho her thread is on sale and she has some great colors so I might change my mind should I be the lucky winner. Thanks! I would love the Roadside 15 fabric. I would like some Grant Park. Not sure if it would be a jelly roll, layer cake, or maybe some charms. Thanks for the chance to win. I would purchase the Medium Polka Dots FQB. Thanks for the give away! I just love the sparkler patter and the pot luck charm pack! I love your blog also! Thanks for the chance to win. I would love to have some aurifil thread!!! Love it. Thanks for the chance to win some. Congratulations Melissa! You are great and I know those numbers will keep climbing in 2014. Happy New Year! If perhaps I were the winner, I would love the Little Black Dress and Road Jelly Rolls. Thanks for the give aways and looking forward to the new QAL starting soon. I'd like the Mirabelle fat 1/8 bundle and the Grant Park fat quarter bundles. I'd enjoy a Piecemakers or Honeysweet Charm Pack so thanks for the giveaway. Congrats!! I like the Medium Polka Dots. Congrats on the followers! I love the Story Book line and have never seen it before. I would live to get some of that and a pattern or two. I love the Mixed Bag Charm Packs. Thank you for the chance to win. I'm in real need of some Aurifil thread!!! I'm a purchasing fast, but if it was a gift, I'd pick either the polka dot FQ bundle or the Blue Simply Style Layer Cake. Wow, I am working towards 3000, congrats! I'd select Sunny Side and LOTS of thread....I ran out of my favorite last night! UGH! Thanks for the giveaway and congrats on reaching 3K. I might get an In From the Cold Jelly Roll or a Simply Style Layer Cake. Thanks for the chance! I love layer cakes so I would go for the Roaf 15 and Wishes layer cakes. I'm torn between the Bella solids bleached white jelly roll, some of those Scrumptious paisleys, and of course, some Aurifil! I would like to try a small pack of Aurufil 50wt cotton I have heard it is excellent to work with thanks for the competition. Congrats! I do enjoy your blog. All that Aurifil! I would definitely go for that but would have to think about the colours. I would definitely look at Aurifil! Thanks for the chance! I'm loving the Little Black Dress 2 Layer Cake, thank you for the chance to win it. I'd love a Grant Park fat 1/8th bundle, and one of the darling Honeysweet mini charm packs. Loving so many of the patterns - The Way the Crow Flies, Braided Irish Chain, In Your Neighborhood, and Boxed In and Out are all calling my name!!! Thank you for the opportunity to win them!! I would get some aurifil and storybook! My favorite is the Scrumptious fabric (Fat Eighth Bundle). It looks Scrumptious!!! Or, maybe a cute pattern would get me started. Thank you! The Road 15 layer cake would be grand! Lucky me. My son bought the Sunnyside jelly roll, so I would buy some Bella solid coordinates to make a quilt. Thanks for the giveaway to finish out the year. I'm always looking for more thread! I love the Aurafil Threadkit. I'd get any of the Sunnyside precuts. Probably should get some thread to go with it. Thanks. Great sale! I love so many items on sale. I'd probably choose some light colored Aurifil thread, or some Heat and Bond , or some Jelly rolls or charms. Congratulations and Happy New Year. I like the chain reaction pattern and maybe some Bella solid. Even some aurifil thread. Looks like fun! I would get the cones of Aurifil 50wt cotton in cream and ivory. And a jelly roll, but not sure which one yet! I love the Scrumptious pre-cuts and I always love Aurifil thread!!! I would probably stock up on some of that fabulous Aurifil thread! I also might be tempted to get a charm pack or two. I'd buy some Aurifil 50wt in white ad cream, a Pot of Luck charm pack and a Scrumptious layer cake !!! Happy New Year from Mirabel, Québec, Canada !! I would love some of the Aurifil thread--my stash is getting low. Little black dress jelly roll... So pretty! What a cool shop, my first visit. I loved Wishes fat quarters and little black dress jelly roll. thk. Road 15 Layer Cake. Congrats on so many followers. I love the Road 15 jelly roll. Thanks! I would love the Sunnyside jellyroll!! Thanks for the chance, This would be awesome!! The Wishes layer cake would be my first choice. Something in the Wishes line...looking hard at the fat quarter bundle. I'd stock up on Auriful thread...hard to find locally! I'd love to stock up on the Little Black Dress 2 line, charms, jelly rolls, layer cakes, fat qtrs. and yardage. I can see making a crazy quilt , adding embroidery and lace etc. to it to make a sophisticated young lady's quilt. Love the piecemakers layer cake - she has so many lovely precuts! I'd probably get the medium polka dots fat quarter bundle. Thanks for the chance to win. Congrats on all those followers, plus many many more. My favorites are the Scrumptious Bias Stripes in Lime, Aqua and Red. Thanks. I need thread, just spool after spool of wonderful Aurifil thread! I'd buy some of that Aurifil that is on sale! Great price. Love all the charm packs and always need more Auriful thread! I can never get enough Aurifil thread. That's what I would use the certificate for. Thanks for the chance to win. Oh, I think I would like to use it on some "Piecemakers" fabric! I would get a bunch of charm packs. Sunnyside or Little Black Dress ! I could sure use some Aurifil thread! Thanks for the chance. I would purchase some Aurifil thread or the Grant Park layer cake! I would love to use it for the small box of Simplify thread by Aurifil! Congratulations!! I would choose Sunnyside layer cake :). Wow, that's a lot of followers! Congratulations! I am in need of some new aurifil thread (would love the simplify colors) but would be tempted with some Scrumptious fabric. I think Moda's "Little Black Dress" and Kate Spain's "Sunnyside" are equally my favorite! ... 3,000 followers! Wow, what a great reason to celebrate!! I've been dying to get my hands on some Road 15! Ohh, I just love Scrumptious too! Congrats! I would love to be able to get some thread!! I need to stock up on Aurifil thread! I would continue building my Aurifil thread stash. A little Kate Spain in the fabric stash wouldn't break my heart either! Congrats on 3,000 followers....Wow! I would try Aurifil thread ... and a charm pack or two. Decisions! Maybe the Mirabelle bundle...or something Scrumptious! Wishes layer cake would be my choice. That's an easy decision to make - I'd go for the "From Outside In" jelly roll! I love aurifil thread - and am always happy to see a sale! I'm also a fan of the elegant Basic Grey fabrics -- hard choice! The Irish Charm pattern looks like fun, as well as the Simply Style charm pack. Would love to get Road 15 Layer Cake :-) Thank You!!! The small thread kit looks awesome. I love having a bunch of different thread colors on hand. I would use it toward the Simplify Aurifil Thread Kit. I have never had the opportunity to use Aurifil and this would give me a chance. I'd spend my money on "Wishes" FQ bundle. Yes and thank you. I'd use it for the Road 15 layer cake. Thanks for a chance! Congratulations, Melissa! Great giveaway, too. I would love the Simply Style Layer Cake by V and Co. I have a large stash and really am trying to use up some of what I have, but I can always use thread and I love Aurifil thread, which just happens to be on sale right now....perfect timing, I'd say! Thank you for the generous giveaway! Wished and Road 15 charm packs look quite interesting. I think I'd stock up on Aurifil 50wt Cotton Thread. But then again, I'd like to buy some of the Scrumptious fabric! Christmas Dresses - A 3-D Finish! !